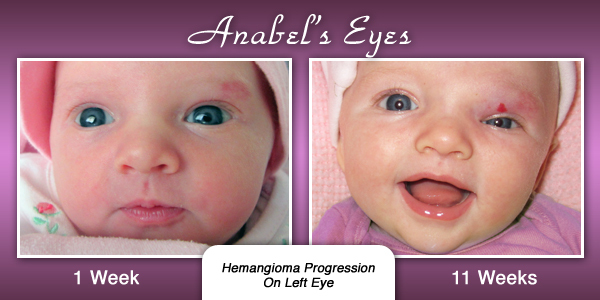 Posted on August 14, 2012, in Family, News, Prayer Requests and tagged Anabel, Family, Strawberry Hemangioma, Tumor. Bookmark the permalink. 12 Comments. So sorry to hear this! We will be lifting sweet Anabel up in prayer. Love you guys! Yes. Cathy and I are praying! I am concern about her now! I sure hope it will be alright too!! We are on your side now!! Thanks for the thorough update, Aaron. We are praying for you guys and sweet Anabel!. So sorry to hear this. I’ve worked with cancer patients for several years, so if I can help in any way let me know. I’m praying for your little girl & especially for y’all. Praying for sweet Anabel and you all as well! We certainly wll be praying for her. Sara has one of those on top of her head, so we know exactly what it is you are talking about. We look forward to hearing how God has answered your prayers again in this matter! I know he will! Hi Mrs. Lockwood. We know exactly how you feel as that sounds very similar to what took place with our daughter. She did amazing with the treatment, and amazingly with no side effects that we noticed. We began to see a difference after just a week or two, and especially after a month. She is no longer on the medication. Hope that helps some. Give us a call if you want. We’re in Colombia South America now, but we have a US # that rings here. 678-696-0082. God bless.